Toast the Sun is a celebration of nature at its purest, Wild Goat Events combine the beauty of their coastal location with local produce and high-quality cuisine, for the happiest of dawns and the calmest of dusks. 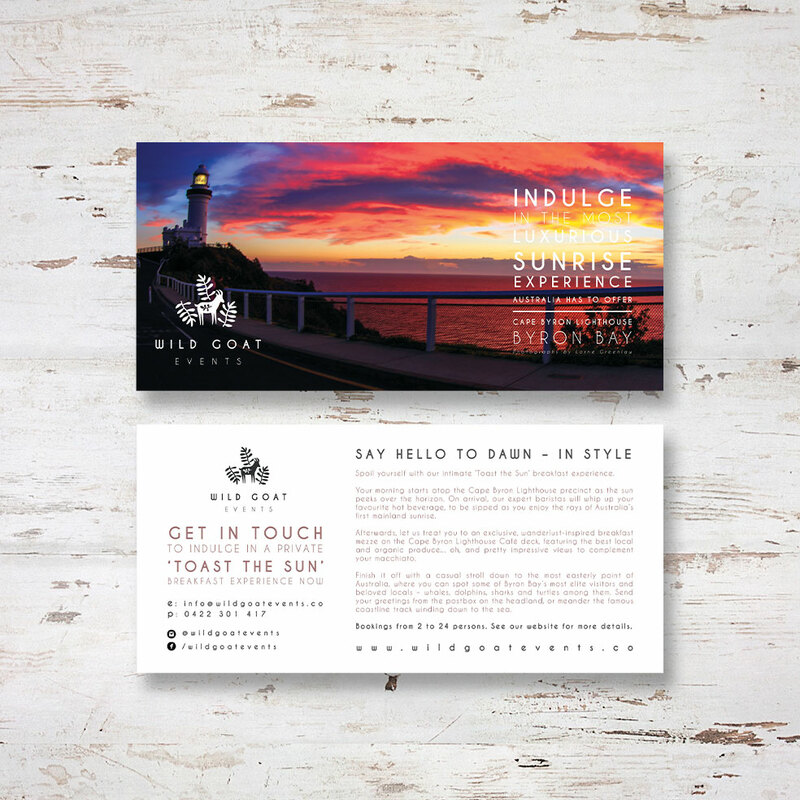 Wild Goat Events are a boutique event design studio tucked into the wilds of Byron Bay, bringing luxurious events to Byron’s laid back shores. Katie asked us to create a website and marketing material based around a logo she had designed by an artist in the UK. She wanted something very elegant but also something that showed her fun side, using the hand drawn elements created by the artist. We designed her website, business cards, printed on high quality recycled card, plus a series of postcards also on recycled card. Bluebury also designed a DL flyer to showcase the Toast the Sun event.